Day 1: Border line Peñas Blancas / San Juan del Sur Assistance upon arrival at Border. Day 2: San Juan del Sur / Granada Breakfast at hotel. Transfer to Granada City. Day 3: Granada / Catarina / Apoyo Lagoon / Masaya Volcano / Managua Breakfast at Hotel. Day 4: Managua / León / Managua Breakfast at hotel. Lodging; Includes breakfast and hotel taxes. Border taxes o Unspecified meals. Excursions, entrance fess or any unmentioned service on the itinerary description. Transfer to San Juan del Sur. Surrounded by two middle size hills, San Juan del Sur Bay hosts one of the most visited beach villages in Nicaragua. What used to be a calm fishers village has became in a popular pier by being part of the route that gold diggers used to reach California during the 1850 decade. Afternoon at leisure to enjoy the beach. Upon arrival at Granada, we will be able to appreciate the interesting colonial architecture while discovering its history. Admire the panoramic view of the city from the Merced Church Steeple. Then continue with a visit to San Francisco Nunnery which has an important collection of historical paintings and objects. One of the most interesting collections is the 28 pre-Colombian statues from Zapatera Island dated between 800 - 1200 AC. During our visit to the City, we will also observe the Calle Atravesada, the Xalveta Church, the Cathedral and Guadalupe Church. On the afternoon we will start a ride on the canals and the charming islets, an archipelago composed of 300 islands in Cocibolca Lake. On the ride, you will admire the views of Mombacho Volcano and the flora and fauna of these islands. Observe tanagers, falcons, and magpies. We will head towards Catarina, an artisans village known because of their gardens with ornamental plants and the amazing viewing point over the Apoyo lagoon, we will pass by Orient San Juan and observe the artisans works. Then we will continue our trip to Apoyo Lagoon which is one of the most beautiful in Nicaragua. 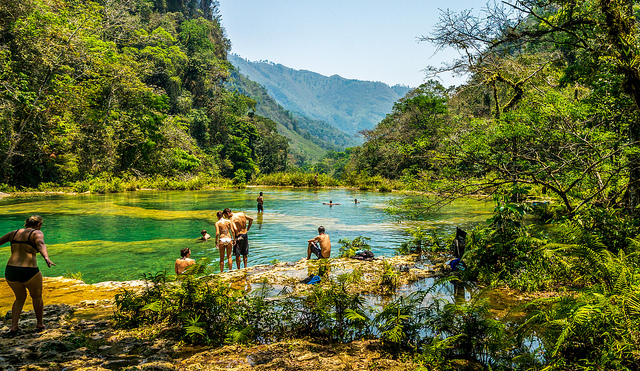 It is surrounded by a tropical dry forest which is the habitat for howler monkeys and a great variety of tropical birds. The abundant biodiversity and the calm waters of the lagoon make of Apoyo an incredible destination. In this beautiful volcanic originated lagoon you will be able to take a swim or just relax while enjoying the view. We will move then to Masaya Volcano National Park with an extension of 54 km2 that comprehends two volcanoes and five craters. A paved road will lead us to the border of the impressive and active Santiago Crater, one of the few places in the world where you can observe a crater at such a short distance. 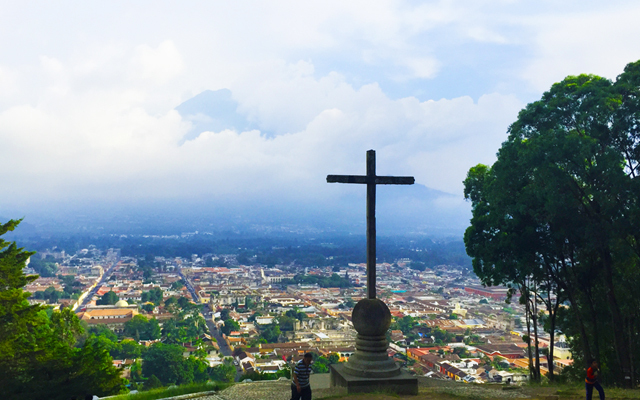 Spanish settlers baptized the active volcano as the “hell’s mouth” and for this reason, during the XVI Century, they placed across known as the Bobadilla Cross in the crater edge. We will also visit the geology museum to learn about geology, history, and volcanology and then travel to your hotel in Managua. 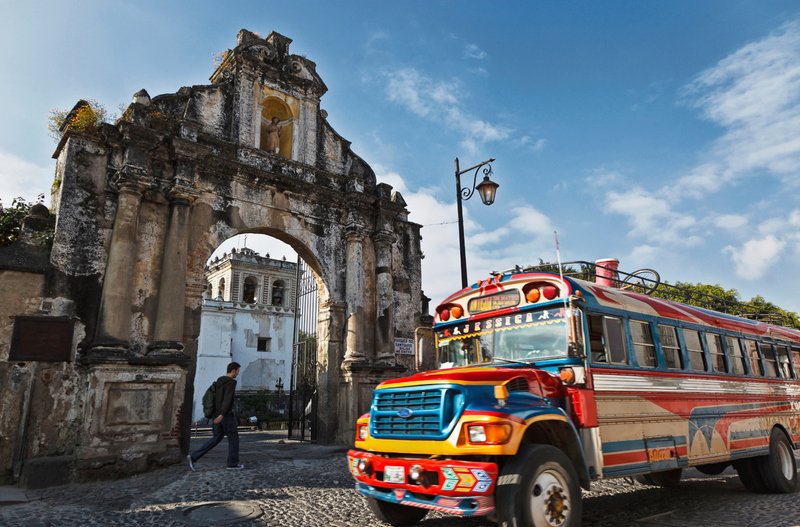 Departure to León City, you will have the opportunity to explore one of the most important colonial cities in Nicaragua, which owns two World Heritage Sites: The Ruins of León and the impressive Cathedral of León. First, we will explore the Ruins of León Viejo, declared as World Heritage by UNESCO. The first city of León was built during 1524 and then abandoned during 1641 due to the constant eruption threads from Momotombo Volcano. The city was covered by sediment and then rediscovered long after that. Here you will learn about the origin and development of the most important cities in Nicaragua. Besides, you will enjoy the view of Xolotlán lagoon and the Momotombo Volcano. We will travel then to the City of León, founded during 1610 which hosts 16 colonial churches which are considered to be architectural relics. The city used to be Nicaragua’s capital city during several years after the independence from Spain in 1821. The title was alternated with Granada until Managua became the only and permanent capital city. Let’s take a visit to the Asunción Cathedral Basilica, one of the most beautiful on the continent declared as a World Heritage Site during 2011. The body of the famous poet, Ruben Darío, rests in this place as good as other important personalities. During our visit, we will go to the House Museum of Ruben Darío and the Ortíz - Guardian Art Center. Afternoon travel back to Managua. Transfer to Managua International Airport according to your flight schedule. The recommended time to be at the airport is 2 hours prior to flight departure.